Figure 28. 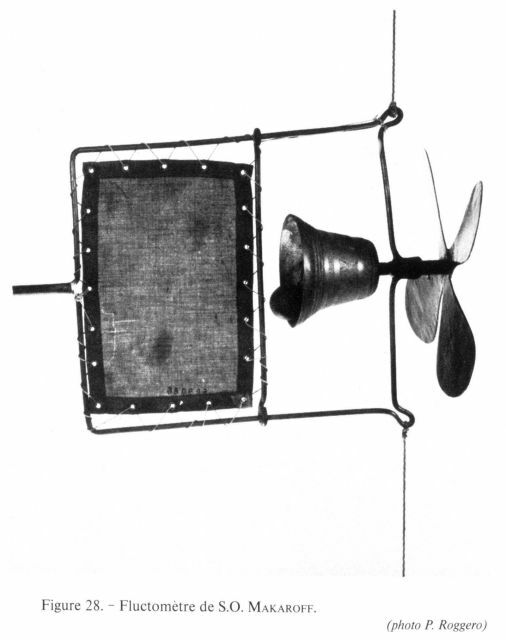 Fluxmeter invented by Admiral Stepan O. Makaroff in 1882 and used in the Straits of Bosporus. Its initial test was made from the Russian vessel TAMAN in the Straits of Bosporus in 1882 at about 73 meters depth.